We're devoted to safety, providing Search and Rescue services to over 8,000 square miles in our community. The LVMPD Search and Rescue Unit was formed in 1986 to provide a technical rescue service to the community of Las Vegas, NV. The unit is on call 24 hours a day and responds to over 8,000 square miles of mountainous desert terrain in Clark County, Nevada. All members have completed extensive training in such skills as high angle rope rescue, helicopter operations, desert survival, tracking, land navigation, emergency medicine, and many others. The unit operates by combining several highly specialized groups to complete its mission. These groups including paid police officers, helicopter support, and more than 50 unpaid volunteers. Each volunteer has completed a demanding selection and training process that certifies them in the basics of Search and Rescue procedures. Volunteers regularly train with SAR officers to assure team cohesion and maintain a high level of skill required for the position. In addition, each rescue volunteer is required to maintain a minimum certification as a Basic EMT in the State of Nevada. However, most volunteers are trained to higher levels in emergency medicine. A group of seven Metro police officers serve as the command and training structure of the unit. They are selected from the rank and file of the Metropolitan Police Department and are all experienced law enforcement officers. In conjunction with the air support unit or independently, these officers perform as a fully functional rescue team. When more manpower is needed, the officers call for the search and rescue volunteers. 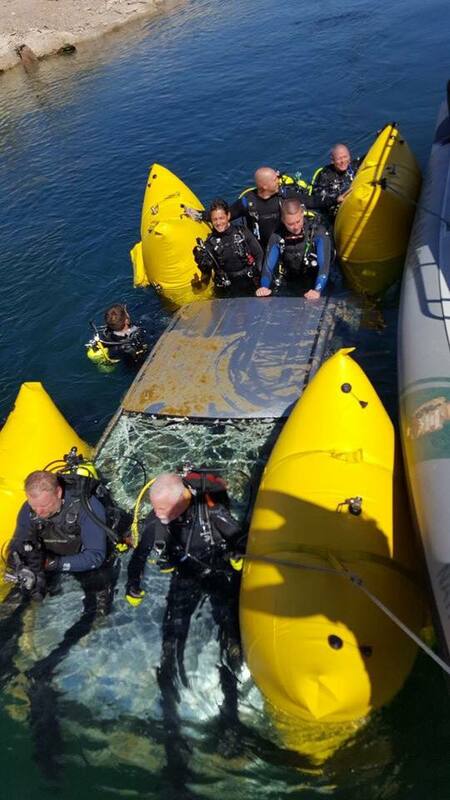 The unit’s support teams consist of a volunteer dive team, logistics team, mountain rescue, and tactical medical team. They provide additional skills, experience, and manpower that supplement the LVMPD officers. To complete the unit, four rescue pilots with LVMPD Air Support fly several types of helicopters to support search and rescue operations. In addition to patrolling the skies over Las Vegas, they have specialized training to perform a variety of helicopter rescue operations. They are trained for operations involving night flying, short-haul, fast rope, sling loads, and skid down hovers. 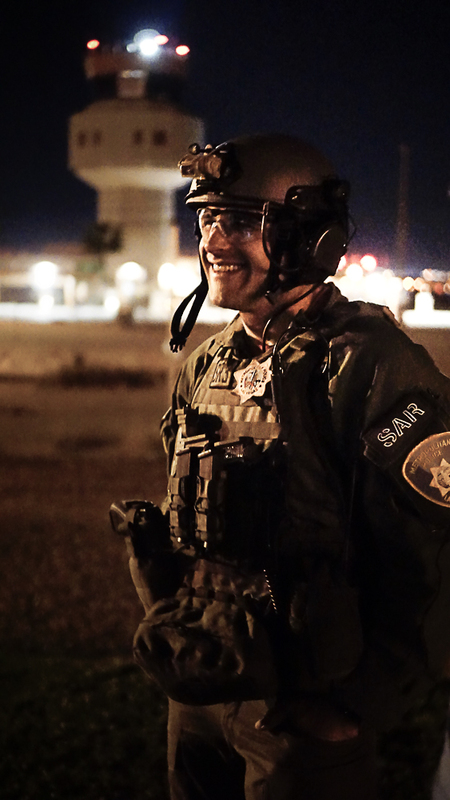 The LVMPD Search and Rescue Unit knows that quality training is our number one asset. Because of the wide variety of callouts and the high risk involved, the Las Vegas Metropolitan Police Department Search and Rescue (LVMPDSAR) Unit has established a rigorous, comprehensive training program that incorporates in-house training classes and emergency medicine courses. LVMPDSAR training policy requires that SAR Metro officers and mountain rescue team members re-certify every year in several core competencies.